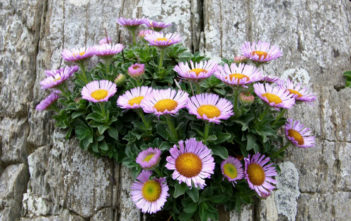 You are at:Home»Archive for "Erigeron"
Erigeron is a large genus of plants in the Daisy family. 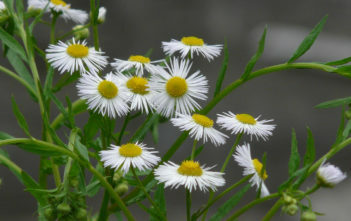 It is sometimes confused with other closely related genera, Aster and the True Daisy, Bellis. The genus has a cosmopolitan distribution in dry, mountainous areas and grassland, with the highest diversity in North America. The generic name “Erigeron” is derived from the Ancient Greek words “eri”, meaning “early in the morning” and “geron”, meaning “old man”, a reference to the appearance of the white hairs of the fruit soon after flowering or possibly alluding to the early appearance of the seed heads.